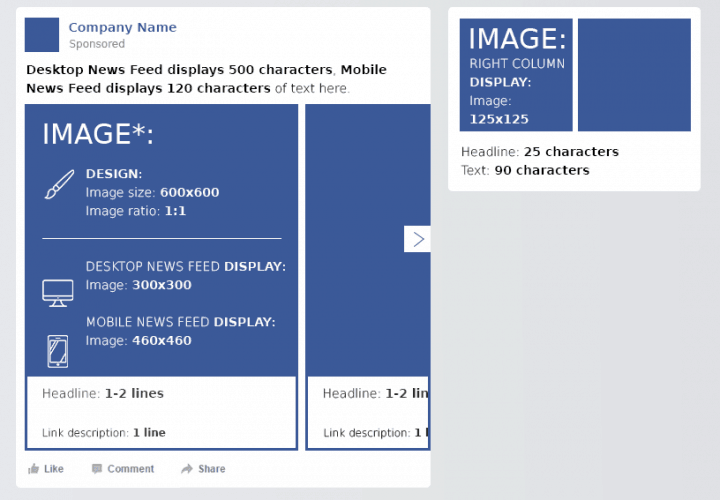 What is the Facebook profile picture size or Facebook banner size? How wide is the page of your brand? What’s the maximum video upload size? Here are all the numbers you need! Make sure you fill in all the data and design the Facebook images for your business’s Facebook page. 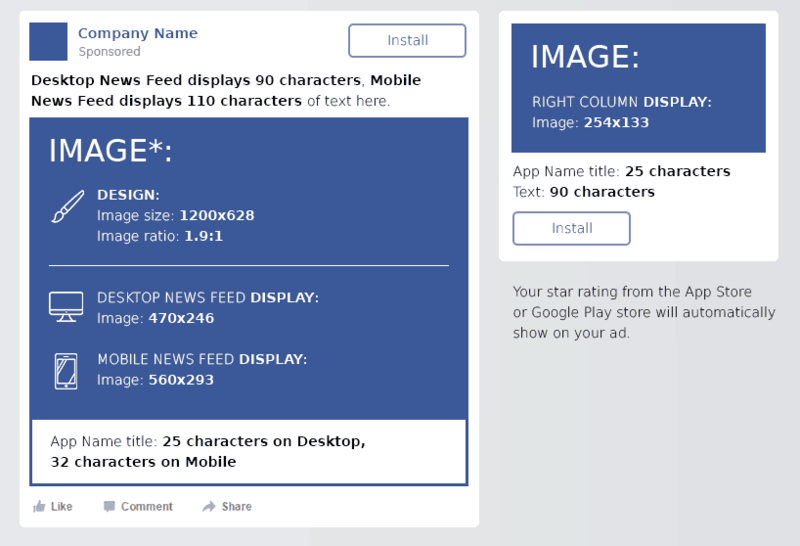 Facebook page which seems to be under construction will reflect poorly on your brand. 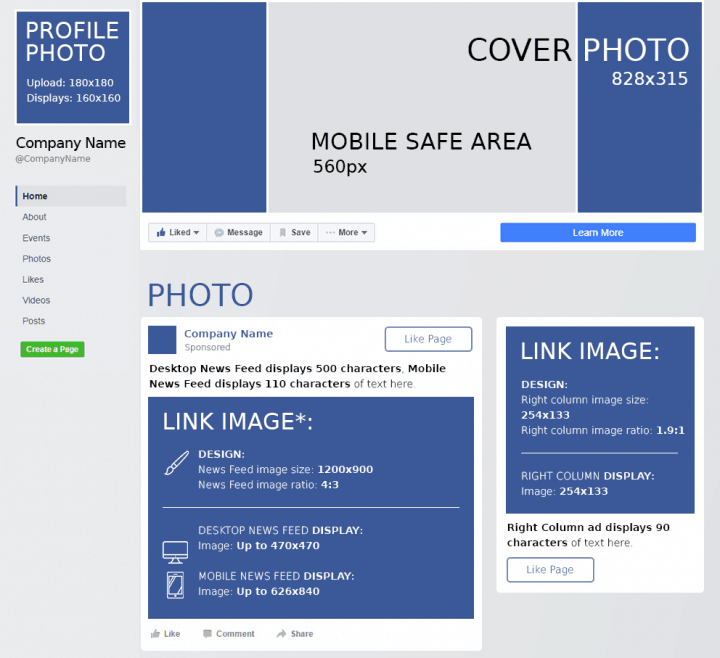 The most important you need to get right is Facebook cover photo size. Facebook image size is important because if you get it wrong, then the images will become all blurry and do not reflect well on your brand. Here are the templates you can use to create header graphics that will work for both desktop and mobile users. Click the images to download full sized versions. This 828 by 461-pixel image is visible in full on mobile devices. Facebook cuts the green top and bottom on the desktop devices, and only the standard 828 by 315-pixel area is visible. 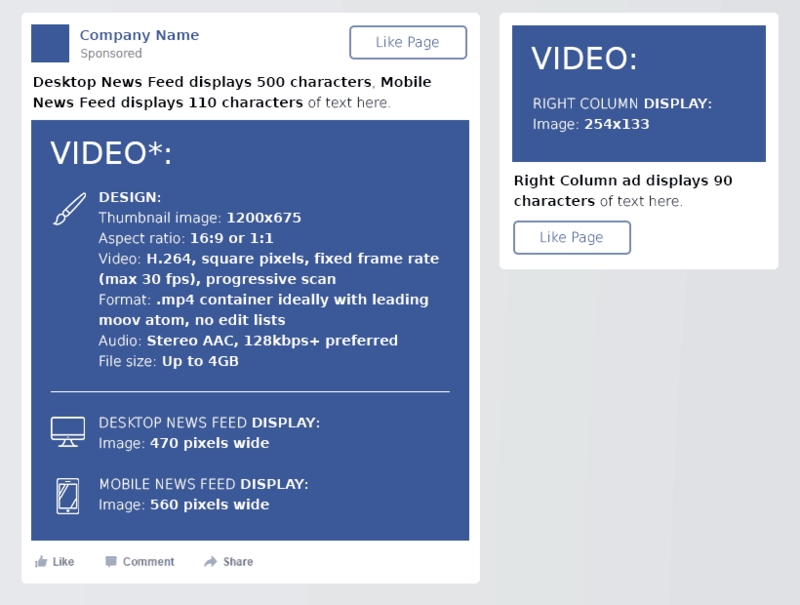 Text: Desktop news feed displays 500 characters, mobile 120 characters, right column ad 90 characters. 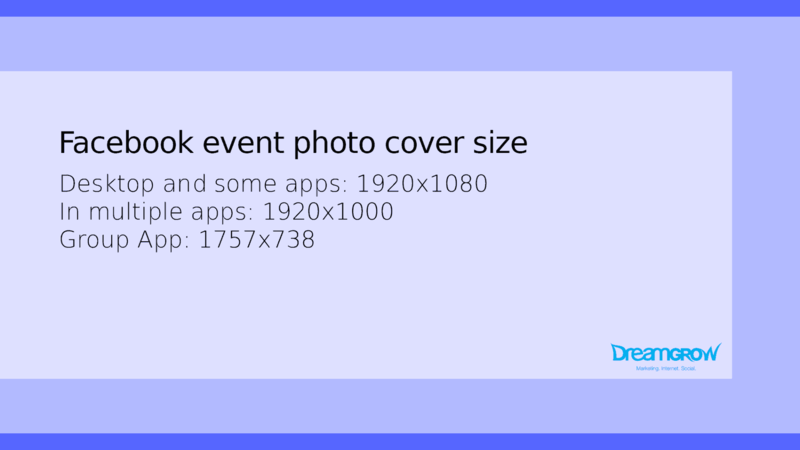 Facebook event photo size is different in various locations. The correct Facebook event cover photo size is 1920 x 1080 pixels a 16:9 ratio. Wider images will have the sides cropped. Taller images will be cropped top and bottom. There are online Facebook event photo maker tools, but it’s really easy to resize image for Facebook event yourself. Good length to aim for: 150 characters or less. You can find and download the full infographic here! Did we miss something? New changes? Let us know in the comments. 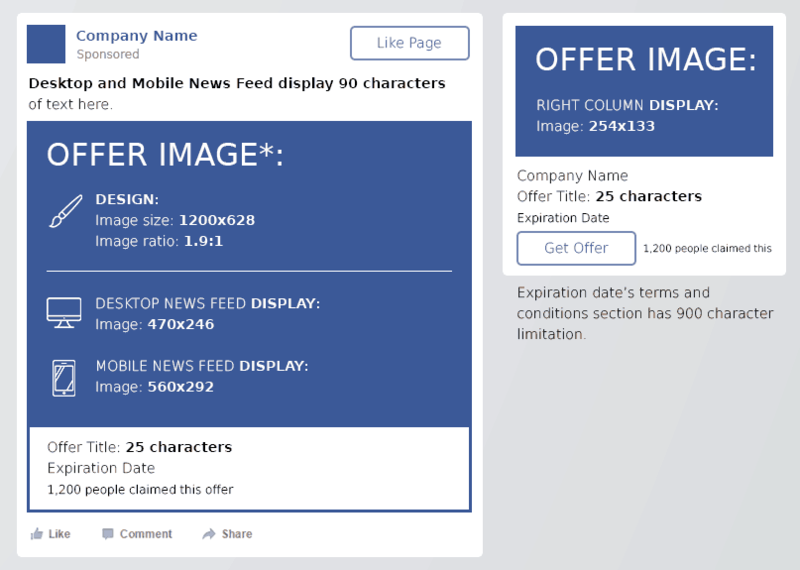 8 Free Facebook Page Creation Tools. 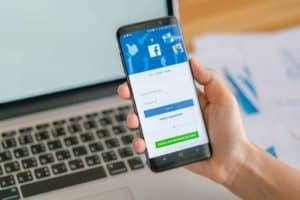 Here are some free tools available to get your basic Facebook apps and campaigns up and running. The left 803 pixels will appear in the sidebar, so everything on the left side should be made BIG so that when it scales down for the sidebar version it looks right. Also, in that left hand side, the top 286 pixels will be clear, everything under that will have the “ABOUT PAGE NAME” with the gradient white background covering your image. So, best to vertically centre the part that gets scaled down into the top 286 pixels instead of the full 440 pixels. The content on the right hand side only appears after you click, in full-size. So, there you can have detailed information that won’t show up in the thumbnail in the sidebar version. To test the scaled down sidebar version, copy and scale your finished cover art to fit into a 308×150 image with the right side cut off. Thank you for the wonderful education. You should make a Pinterest share button because their is a lot of incorrect, outdated information. I read many comments about the Story Cover size of a Facebook Page and no one has given the right solution. I made a story cover today for my page and I figured out that the right size is 3000×1125 px or 40×15 inches (on default resolution: 75 pixels/inch). Everything has been included, no crop. I’ve tried 1000×375 and everything fits well, but the whole image is blurry and I can’t read the texts. So I re-scaled it 3 times (thus 3000×1125 px) and it worked! My images are not blurry and I can read small texts (about the size of Arial Regular, 25 font size). What is the document image size for Facebook Groups when you post a new document? I didn’t see that here. Thanks! How about the size of images permitted on a Facebook poll? Does anyone know the size of the poll images? Hey, this post very helpful for me. i wanted to asked, you know on facebook page there’s “our story” feature. do you know the dimension of it? Has anyone cracked this? Did anyone work out how to get the Story banner and the image displayed on the right-hand side column to display correctly. The preview in the right hand side column cuts out a lot of the image. I didn’t see the answer right off so here is where ended up with my Story Cover photo size. 1200×400. I tried the 1200×400 and it was almost perfect but image was getting cut off on the right, so i decreased the width to 1000 and it worked! so I would sayanything close to 1000×400-1200×400 should work fine. I tried 1000 x 400 and its being cut off in the preview in the right hand side column. Thank you!!!!!! I’ve been searching for an hour and trying all different dimensions. Thank you!!! what is the size for the images posted in Facebook Stories? Me either. Have been checking this too. Need to update mg business page as well. Thanks for the wonderful cheat sheet and written explanations! I have this query also. OUR STORY pic dimensions would be appreciated! I have a problem with facebook covers on iPhones. I’ve uploaded new FB cover and it looks good on desktop and Androids but it’s very blurry on iPhones. What can I do? What is the right dimension? Hello! What a wonderful cheat sheet. Thank you for putting this together. However I had one question. I noticed on this Business Facebook page, the banner is much larger for their video than anyone else’s I have seen, and love how it looks. Do you know the dimensions for this process? I can not find anything relating to how this page is designed. Thank you very much in advance. This is new to me. Will update as soon as we find out. 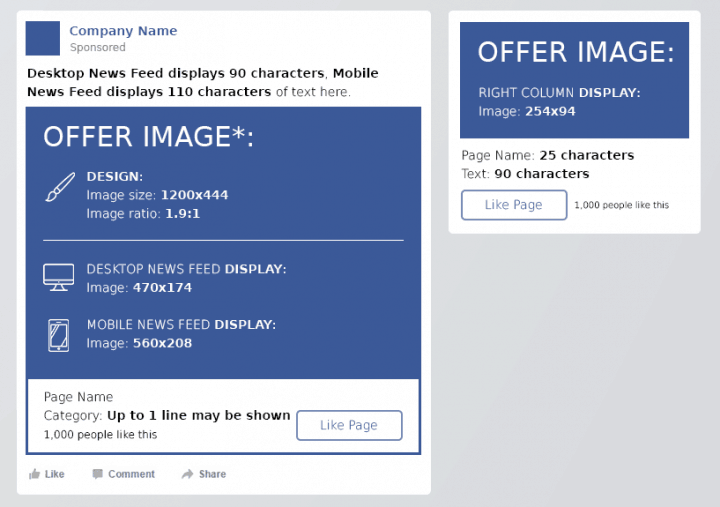 Does anyone know what the image size would need to be when adding a service to a FB Page? Need some help, I have an event image that’s set to what is posted here 470×174 and it still doesn’t fit. It still posts larger than the window which distorts my image. For FB link ads, what is the size of the image (and what is the resolution of the photo) if i wanted to post that one ad for both mobile and desktop. Not sure why when i set 1200×628 dimension, and upload it on the system, finally the ads will show properly in desktop but dont show fully in mobile mode. Pls help. Anyone having the image distort when you want to move it? This is strange,. When I upload square videos to my Facebook-page using the publishing tool, square videos are converted to wide .. any idea why? Now, I can easily create images for my fb pages. I am reading so many articles and I am unable to get a firm confirmation. It seems that your article is the closest one. From what I understood text will always be cropped when the image posted isn’t a perfect square, right? I created so many postcards and text gets cropped but when I upload on my personal Facebook image looks good.I can’t understand why. Does it make any difference when an image as used as an ad or regular Facebook. Luckily I was able to use the ones I created for Instagram. 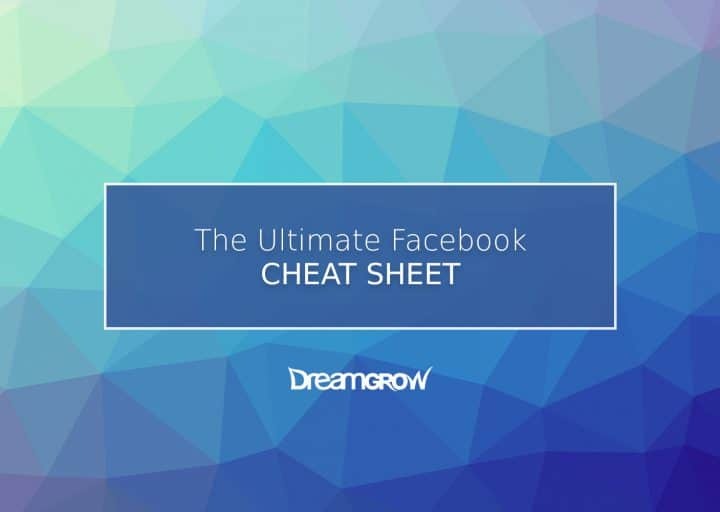 This is a very useful content when Facebook is one of the most important sources for your business. Thank you. Awesome, thanks! Yeah I had found that it needs to be a 1:1 dimension and 7 seconds max, but I don’t think they’ve announced an ideal pixel dimension, file format, or max file size. Weird that you can only upload a video through mobile. Pretty neat new feature though! How about the dimensions, file format, and max file size for a Facebook video profile pic? This is a relatively new feature and I can find the required specs anywhere. Thanks for the tip! The sizes for Facebook profile video have been added. Ya what are the dimensions of profile video? Me too. I am really impressed by this blog!Very clear explanation of issues is given and it is open to everyone. Thx a lot. This is great info. But what about FB Event Page? I agree with you. It’s will different for FB Event Page. I hope admin can explain it. Okay, now I took another question & answer platform and many also say unlimited, so this must be it, yehee! I read on another question & answer site that the length of the Facebook comment was set to 8000 chars. Was it re-set to unlimited, or that’s what unlimited means? Our specialist told it’s unlimited. Wow this is just what i was looking for! I’m glad that FB makes it so simple. Not only do they not tell you they’re cropping your photo, they don’t tell you the required size and they only have like what 40 formats so you have to guess which one your photo fits in. 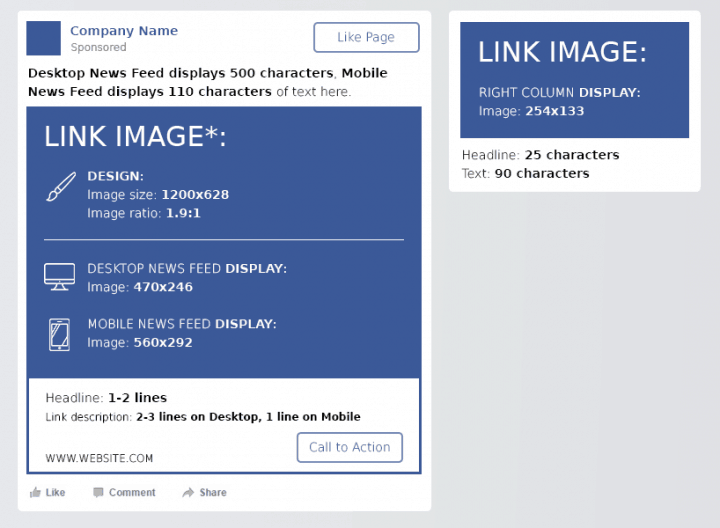 Excellent cheat sheet for Facebook sizes and dimensions. The outcome is always better when using a tool like Photoshop to drive image cropping and optimizations vs letting Facebook decide. You probably already know, but at the time of this comment, this page ranks #1 in Google US for –> ideal Facebook image size . 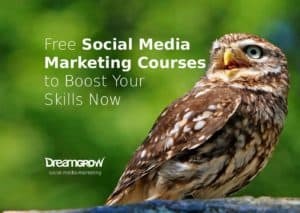 Awesome resource for marketers building Facebook pages and building community online. Thanks for sharing. This is awesome-sauce. I just shared it on my Facebook page. Thanks! You would think Facebook would be smart enough to tell users the exact image requirements as soon the person begins to try and upload the image. Could you guys update the “Facebook Page/App” and create a new “Facebook Tag” infos? Thanks for this very helpful post. I have a quick question if anyone knows the answer to it. What are the best dimensions for an image with text that is just posted as a normal picture status update? I’ve tried various sizes and layouts and I almost always end up with the image being cropped in people’s newsfeed (either the desktop version of the newsfeed, or the mobile version.) Is there a “right way” to do this? What are the maximum dimensions for an image in a highlighted post? Hi! 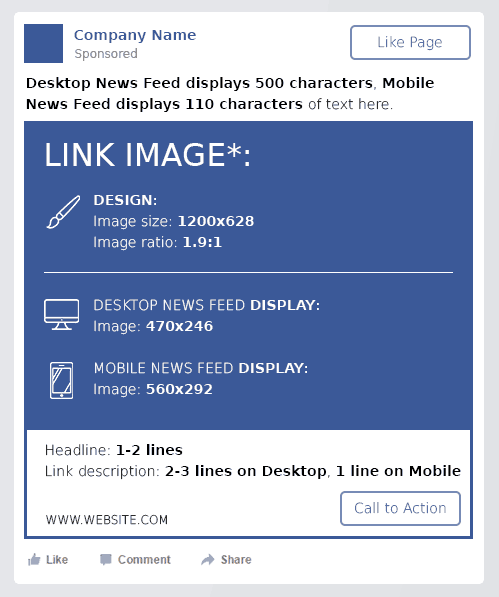 I just wanted to let you know that Facebook has updated the Facebook Ad Picture size to 100 x 72 px. It will be great to update that on the Cheat Sheet. Cheers! Thanks, we’ll get it updated ASAP. Innovation is what makes a company stand out. It’s just that it may take time for humans to adapt to change that’s why it get’s confusing. This is better than the best ! love all the cheat codes for Facebbok Users. I use facebook every-day so this is Great Tool For me to be updated daily. The cheat sheet is great and a wonderful public service, but it needs to be updated. Ad sizes & copy limits have been reduced, for example. Thanks, though. Thanks, we’ll get it updated. Do you know how to prevent the loss quality in pictures for cover photo and logo icon? Armando, in some cases if you create jpg with the right size it will not degrade as much as usual. However it is not a sure thing. Any idea what the max or optimal dimensions are for a FB event photo? I want to translate this to spanish, may I? Yes, Elias, but please link to original post. Hey guys, as everyone before me has said, this is super helpful, thank you. Is there anything similar for Linkedin, Pinterest, Twitter, Tumblr or Google+? I think the Profile picture for timeline pages is 161 x 161 px. What is the size for when you use it for events? Hi Victor! The max prof pic for events is 180px * 540 px. That’s not very clear, I guess that means they will display the full 2048×2048 if the display allows it? Their documentation previously said that the High Quality was only for downloads but it looks like this maybe changed. The big pictures look really good on the fullscreen setting. Hey Priit Kallas could you check on your Pictures displayed in Facebook dimensions. The number is definitely incorrect. I resized and sharpened an entire directory of images based on your numbers and now it all has to be redone. Please correct this mistake ASAP so that others don’t have the same problem. I’m thinking max width of 1478px and max height of 1060px on 1900×1200 display resolution but I don’t know if that is correct or if different display resolutions change this. when I right click on one of my wall photos in slideshow view it shows Dimensions: 1557px × 1086px (scaled to 1478px × 1031px) this is making me think that your value of 960×720 for Pictures displayed in Facebook is incorrect. Maybe it is different for different display sizes? Mine is 1900×1200. Does anyone know what the new dimensions are for the tabs on timeline? When you click onto existing tabs (in timeline) just need to know w x h if anyone knows. how can i increase the size of my profile picture…. I just printed this. You rock. Thank you for doing this!! Thank you so much for the great info. However I do have a question to the “About” section in the new design as I would like to state my info on 3 lines but it won’t allow me to use the “return” button and puts all my text in one long line, why? shift + return does not seem to work in the new timeline version. Any other ideas? It seems like we have 3 lines available for text but that you can’t make a line break? First of all, let me say Thank you very much for making this cheat sheet and for this very useful website. I have a question, though, and I’m not sure if it got covered up there^. The question is, is there any way to modify the cover images for the “Friends”, “Photos”, “Map”, etc., thumbnails/quick links when you enable Timeline? If so, do you know what the correct size of the images would be? Thank you so much! Hi! Unfortunately, Facebook doesn’t allow users to change the thumbnails of the default applications such as photos, likes, map, etc. Totally agree with you – it would be awesome. I don’t see Facebook doing this in the near future though. The downloadable PDF does not match the screenshot image used in the article. It looks like it’s the old Facebook cheat sheet still. Great job. Very good to know. Thx a lot. This is SO very helpful…thank you. I’m also looking for the size of the images that display when you highlight a post that is a photo (the same as milestone photo dimensions?) and the optimal size of a photo to display when a photo post is “pinned” to the top of the new page timeline. I’m noticing that when you upload an image it will display nicely in the light box, but it gets cropped when you display it on the timeline. I’m looking to design an image that can be “pinned” to the top of a page and look optimal, without having to click on it to view it in light box mode. Any suggestions? Hi Stacey, the highlight post image is the same as milestone image which is 843px * 403px. If your image is bigger than that, it will be scaled down. Pinned to the top size is not scaled (resized) by Facebook. The image container size is 403px * 403px but Facebook takes the wrap from the centre of the image (meaning the edges will be cut). As a follow-up to my reply above, I’ve just discovered that if I export from Photoshop as a png, the quality is much, much better when posted to FB. Thanks! This article was extremely helpful! I just tried to download your PDF and it is still referencing the old Facebook dimensions (not seeing what it is in your JPG in the article). Is there a new link? Hi Mossy, thank you for commenting. We’re aware that the sizes in the pdf (and JPG for that matter) are not up to date. We are working on a new and improved cheat sheet and hopefully will switch it out any time now. The sizes in the body of the article are accurate, though. Any update on this? I’d love to have a cheat sheet. Hi Heather, I have one word to say, BRILLIANT! OK, here is another, THANK YOU so much. This cheat sheet will be invaluable. Sharing information like this is one of the reasons that I continue to follow you. I found how it is done in timeline view… I don’t believe… Who was the moron who “invented” Timeline? Well, anyway, I found out that in order to change the app logo I had to go to Admin Panel-> Manage->Edit Page-> (left menu)Apps-> Find my application in list and then -> Edit settings. Why? Because Edit settings from Timeline view on my page for my application doesn’t work. That is If I go and pull down the menu in timeline view and click on a little pencil. I’m using photoshop and made a logo for my application “usluge”. Thank you Priit for this well executed cheat sheet… saved me from doing one myself. Exciting times ahead for Facebook Page owners. Any idea how to size images so they are not cut off in the timeline – see www.facebook.com/lorimercerphotography? I’ve been sizing them to 720px wide but I would love to figure out a way to size them so they show up without cutting off for best impact. Hi Lori. Have you tried 520px width? To be honest, I haven’t tested it myself, yet. Seems that the only way it to make sure all the important things are in the middle square area. Please note that cheat sheet .pdf and .jpg do not match. And I can open only small version of .jpg picture. Thanks Nenad, we’re working on that! A lot of updating is in progress. Glad we could help, thanks! I tried the cover photo image size you stated in this post, the 851×315, and it kept looking resized. When I did a screen capture and pulled it into photoshop, it said the image was 1021×377. Not sure where the issue lies with me or the post. Plz disregard! I must have zoomed in to check something out and never reset the view. That’s why I was grabbing a larger image. Duh. This is, this is, this is…AMAZING. It was exactly what I needed. Thanks!!! I am really happy to see this page. Its very useful information. Thank you for this AWESOME post! I’m always trying to keep up with the different sizes of things and you sum it up very nicely on one graphic. thanks for the info! Thank you so much for this! You have no idea how many times PM’s have asked me the dimensions… I just kindly sent them the cheat sheet so that they never bug me again! haha! Thanks buddy! Thanks Marc! That’s why we did it! Character limit is no longer 420. Thanks for sharing this. I will be sure to link to this from my blog for others to use. Very helpful. Any thoughts on adding a favicon to your FB business page? Like how to do it? the thumbnail size is wrong. Facebook have recently increased the status limit to a ridiculous 63206 characters as I’m sure you know but that certainly doesn’t detract from this being a great little tool, thanks. I have included it in the SMB Social Media Monitor (http://www.scoop.it/t/smb-social-media-monitor). one small addition: we just discovered that the post-thumbnail on mobile (at least the iphone-app) is cropped to something like 90×80. Thanks Michael, We’ll try to check it out. Great & valuable information, this isn’t the first post from you that inspires or helps me : thanks! Thanks so much for this! I’ve been collecting notes and snippets for months. It fabulous to now have it all in one file. As for “Pictures displayed in Facebook” goes, they changed this sometime in August 2011 … its now 960px for landscape photos. I hope you concur and correct this. Sorry, Shai! We changed the PDF and JPG but the text in the post itself was not updated. Thanks for letting us know. Fixed now! where the name of the business is located ? There is no fixed/definite height to that, because the browser renders the text using its own fonts, so it will vary from browser to browser and depending on what zoom settings each user is using. Also if the brand and tab names are long, they will go onto two (or more) lines. What sizes should the photos that appear above the status updates? Thanks and have a groovy day! If you mean the five on top of your profile page then 97x68px. Great tool, thanks for sharing what must have taken a few hours to put together! Yes, I’m afraid you did miss something: application canvas pages – 760 pixels wide, unlimited height. Thanks for the cheat sheet, what a great idea to keep you reminded of it all. I single picture over 2000px in height will cause a repeat. Thanks, Karin and Cindy! Yes, Karin, you can use it and a link would be nice. Thanks, that is very useful information. I hope you don’t mind if I use it for my Social Traffic Club (with your link of course). Thanks for adding that, Syed! Guess you just missed the allowed no. of character in Facebook Questions. Thank you for letting me know, Casey. Fixed! The text link for the PDF doesn’t work. However, the image link works. Thank you! This is exactly the information I’ve been looking for lately, and you’ve compiled it in one place. I appreciate it.